The star is an enduring traditional emblem of Christmas as it often tops Christmas trees. It symbolizes the Star of Bethlehem and it seems like the perfect design element to feature on this special day. Stars also appear in many country flags, in heraldry and even as sheriffs' badges. 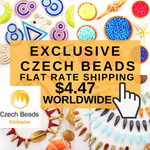 They are super to feature in beaded designs for jewelry, accessories and decorations. 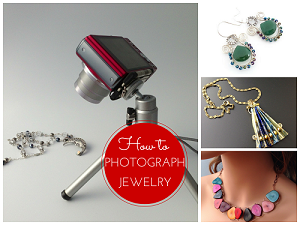 Make some star earrings, charms or perhaps a key chain ornament with these tutorials. 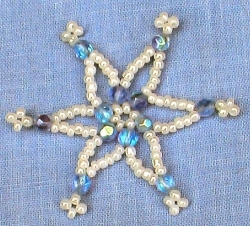 Shown on the left is the gorgeous beaded snowflake star tutorial by Beadjewelrymaking.com. 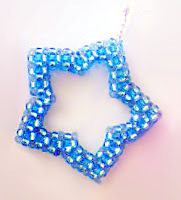 This beaded star tutorial by craftcove sure is pretty! 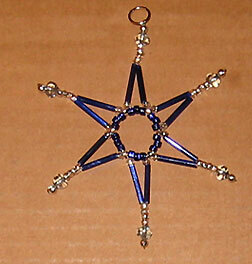 MythrilAngel on Deviantart has a simple beaded star tutorial using just seed beads. Xmisellx's beaded star tutorial shows a delightful use of color and rice shaped beads. 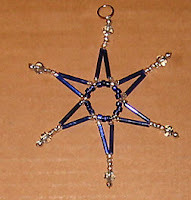 The BeadJewelryMaking.com has some great examples and this 3D beaded star charm tutorial. A different kind of 3D star tutorial is that created by angychan on Deviantart. 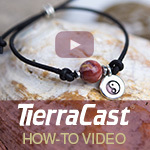 It is a free download when you get to the link. You just have to wait 45 seconds before you can access it. 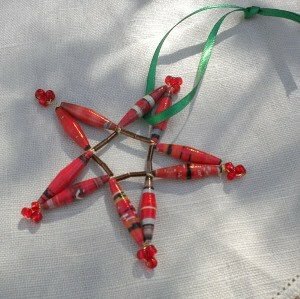 Ruby Bayan's beaded star tutorial using wire and beads was designed as a holiday ornament but I dare say a small version will be lovely as a pendant. 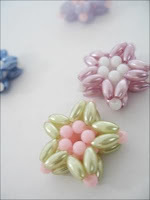 Bugle beads are so underused so check out the tutorial by kayray.org. 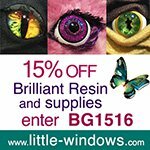 There are several variations to admire and be inspired by. 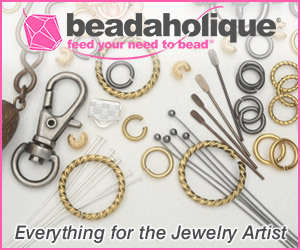 Beadjewelrymaking.com also has a bugle based star pendant tutorial. 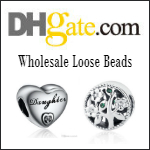 Great blog today. 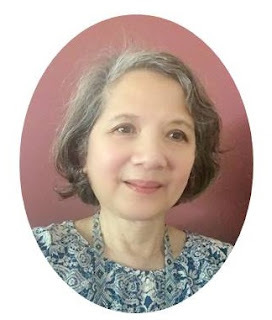 Happy holidays and all the best in 2011 to you Pearl and your readers . Oh Pearl, these are lovely. Wish I had seen this post some time ago. 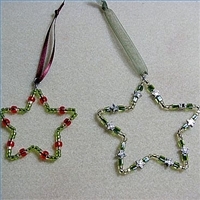 I've book mark this particular post as I an enthralled with the small stars using seed beads and oval or rice beads, they are adorable and would be great elements to use in jewelry pieces as well as small ornaments for table top trees.